It’s that time of year again when we are reminded to complete two hours of mandatory safety training to stay in compliance with Workers’ Compensation requirements. If your firm has already completed safety training, you are ahead of the game! If not, we have eleven options available to you including an online option. If your firm has completed safety training for 2015, please confirm your participation with Mary Ellen Higgins at Builders Exchange. Safety training does not have to be offered by Builders Exchange, but must be verifiable with a certificate or training roster. Remember, only one person from each organization is required to participate in annual safety training. As in previous years, Builders Exchange will continue to collaborate with the Kentucky Labor Cabinet and other safety experts to provide valuable training resources. The week of October 12th – 15th, the Kentucky Labor Cabinet will provide a total of eight free construction-related courses. These courses can range from “What to Expect from an OSHA Audit” to “Crane Safety.” The Labor Cabinet has not determined the specific courses as of this date, however, it would be a good idea to mark your calendar as a place holder until the course titles are determined. The courses will be held at the University of Louisville Shelby Campus in the Founders Union Building, Room 6. We will publish the entire calendar as soon as it is provided to us. We are offering a First Aid/CPR/Bloodborne Pathogen/AED training course on October 21st from 8:00a.m.-1:30p.m. at Builders Exchange in Louisville. The fee is $85 per person and can be paid in cash or by check at the door, or you can complete the accompanying credit card authorization form and fax it to me or bring it the day of the class. As space is limited, please register as soon as possible by calling me at 502-459-9800, emailing me at mhiggins@bxkentucky.com, or faxing me your name, company name, and phone number. Once registration has been received, payment will be due on October 21st. We are offering a “last call” course at our Louisville office on November 4th from 8:00-10:00a.m. or 2:00-4:00p.m. The course content includes various safety-related topics. This course is $40 per participant and payment details are the same as above. 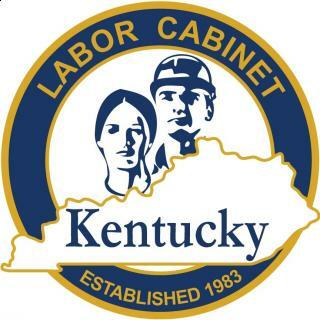 If you are interested in completing your annual training online please go to www.laborcabinetetrain.ky.gov and you can review the provided by the Labor Cabinet. Just check the length of time of each course to make sure you participate in two total hours of training. Once you have watched the videos and completed the online “quiz/quizzes”, please email a copy of the certificates of completion to Mary Ellen Higgins at mhiggins@bxkentucky.com or fax certificates to 502-459-9803. Webinars do not offer an opportunity to print a certificate, so please refrain from selecting a webinar to complete your safety training. Your training will be reported to the AGC-SIF once Mary Ellen receives confirmation training has been completed. Anyone interested in courses being offered at Builders Exchange should contact Mary Ellen Higgins via email or phone at 502-459-9800 to make reservations. If you have any questions about completing this year’s annual safety training, please feel free to contact Mary Ellen and she’ll be glad to help you! Attend free Population Center Training from the Kentucky Labor Cabinet in Lexington at the Clarion Hotel from August 25th through August 28th. Click here to register online. A full list of classes can be found below. Overview of the Kentucky OSH Program 8:30 – 11:30 a.m. This course discusses the obligation to provide a safe and healthy workplace, free from recognized hazards. Topics of discussion include the operations of the Kentucky Occupational Safety and Health Program, including enforcement and voluntary compliance services, and safety and health topics currently being considered for future standards and policies. Respiratory Protection 1:00 – 4:00 p.m. This course covers the basic requirements of Respiratory Protection as covered under 29 CFR 1910.134. This course will discuss the various types of respiratory equipment available; the limitations and capabilities of the various types of equipment; and the elements of an acceptable respiratory protection program. Hazard Communication – GHS 8:30 – 11:30 a.m. This course covers the basic requirements of 29 CFR 1910.1200 and the revised provision of the standard as they relate to the Globally Harmonized System of Classification and Labeling of Chemicals (GHS). Attendees will learn about the revised standard, which will include chemical hazard classification, written program requirements, container labeling and other forms of warning, safety data sheets, and associated phase-in dates for the new requirements under GHS. Bloodborne Pathogens 1:00 – 4:00 p.m. This course explains the measures that must be implemented to protect employees from the hazards of occupational exposure to blood and other potentially infectious materials containing bloodborne pathogens, such as hepatitis B virus, and human immunodeficiency virus. Topics of discussion include applicable definitions, infection control, engineering and work practice controls, including universal precautions, personal protective equipment, housekeeping; medical evaluations, warning signs and labels, and training of employees. Powered Industrial Trucks 8:30 – 11:30 a.m. This course covers the basic requirements of 1910.178. Attendees will learn about the basic aspects of powered industrial trucks (primarily fork lifts), operator training requirements, safe truck operations (including traveling & safety belts), equipment modifications, and associated hazards. This course will not provide operator certification under 1910.178(L). Crane Standard for Construction 1:00 – 4:00 p.m. This course addresses major changes which took effect on Nov. 8, 2010. The class provides a basic overview of 1926, Subpart CC, including mobile cranes, tower cranes and certifications requirements for crane operators. Topics also include requirements for riggers, electrical hazards, and crane inspections. Injury and Illness Recordkeeping 8:00 a.m. – 12:00 p.m.
Fire Protection 1:00 – 4:00 p.m. This course covers 1910, Subpart E: Exit Routes, Emergency Action Plans, and Fire Prevention Plans and Subpart F: Fire Protection. Participants will learn how to develop and implement effective Emergency Action and Fire Prevention Plans, as well as maintain exit routes. Additionally, classification of fires, fire extinguishment methods, fire detection systems, and employee alarm systems will be addressed.